Home » States » WEST » Goa » Will It Be India’s Bravest State Budget Or..
Will It Be India’s Bravest State Budget Or.. I read this article and found it very interesting, thought it might be something for you. The article is called Will It Be India’s Bravest State Budget Or.. and is located at https://archive.indiaspend.com/investigations/will-it-be-indias-bravest-state-budget-40643. 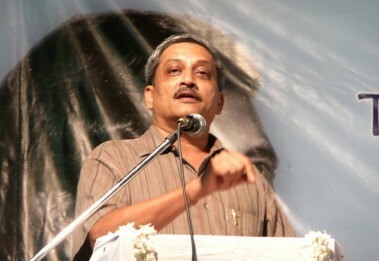 Goa’s Budget 2012-13 provides a few more reasons to not just visit the state but take up more permanent residence there. IndiaSpend’s Dhritiman Gupta did some math on the only state budget in India which did the unthinkable; radically slash petrol prices. It’s not just petrol prices which were reduced by Rs 11 per litre as of April 2 (and not on April 1 so that people wouldn’t think it was an April Fool’s joke); Price of LPG cylinders were frozen at pre Union Budget (March 16, 2012) levels to provide relief to families with income less than Rs 3 lakh per annum; a 70% subsidy was provided to commuters who use public transport, 85% for students. Many ambitious proposals to upgrade infrastructurewere announced.A new six-lane bridge across the river Zuari in south Goa, bridges to connect villages Camurlim to Tuem, Chodan to Pomburpa, Calvim to Carona, Keri to Terekhol, Chorao to Ribander, Cumbarjua to Gaundalim, Madkai to Neura, Khandepar, Betim-Panaji, Arpora-Calangute, Virdi-Amona, Sanguem, Talpona and Galgibag. These names might mean little to those living outside but are vital to the state’s citizens. Goa’s total plan size has in fact gone up from Rs 3,129 crore in 2011-12 to Rs 4,154 in 2012-13; an increase of 32.75%.The total budget size is at Rs 9,549 crore, up from Rs 8,022 crore in 2011-12. Let’s look at Goa’s financials. For starters, Goa has graduated from being a revenue surplus economy to one with revenue deficit of Rs 120 crore in 2011-12. The revenue deficit is estimated to be Rs 83 crore in 2012-13. Revenue Receipts are estimated to grow by 20.3% in 2012-13, mostly due to a projected rise in state’s own tax revenues from Rs2,526 crore in 2011-12 to Rs 3,234 crore; a rise of 28%. Revenue expenditures are expected to go up by 19%, mostly on account of the subsidies on petrol, LPG and public transport. The capital account has always been an area of concern. Capital receipts have been slow when compared to expenditures. In 2011-12 capital receipts were just Rs 824 crore as against an expenditure of Rs 1,986 crore; a deficit of Rs 1,162 crore.The estimated fiscal deficit of Rs 755 crore in 2012-13 will be 3.61% of the GDP. The state’s Debt-GDP ratio of 31.60 % in 2011-12is not very encouraging but is expected to fall marginally to 30.08% in 2012-13. To encourage cinema theatre operators to upgrade their facilities in cinema theatres and multiplexes, the exemption slab has been increased from Rs 50 to Rs 75. The entry fee of off shore casinos has been reduced from Rs 2,000 to Rs 500 to bring it at par with on shore ones. The revenue expected from the payment of Entry Fees during the previous financial year; 2011-12 is Rs 9.41 crore. In order to compensate for the loss in revenue the licence fee of off shore casinos has been raised to Rs 6.5 crore, bringing in an additional revenue of Rs 9 crore. Premises being used for commercial activities like sale and fairs will be charged a Luxury tax at the rate of 5%. Services being provided in “beauty parlour and spa” will henceforth be covered under the scope of Luxury tax at the rate of 10% on receipts. Entry Tax on coal and coke has been increased to 2% under Goa Tax on Entry of Goods Act 2000.Entry Tax on Cars, SUV’s and two wheelers have also been increased to 15%.All the above tax reforms under VAT, Luxury Tax, Entertainment Tax and Entry Tax are expected to bring in an additional Rs 470 crore. The change made in excise duties with respect to alcoholic beverages is expected to bring in an additional Rs 50 crore.The combined additional receipts expected by Goa government thus is Rs 520 crore, hardly enough to fund the proposed reliefs and various new projects taken up.